Harnessing the power of Big Data drives better outcomes and may reduce errors. In the world of data analytics, health care has often found itself left behind other sectors. Retailers, for example, know what consumers are likely to purchase both in-store and online. Restaurants can guess what patrons will order based on the history stored in their loyalty cards. "In health care, though, we still haven't been able to leverage any of this," says Fatima Paruk, MD, MPH, chief medical officer at Allscripts Analytics. The existence of a vast network of regulations and privacy issues hinder some analytics efforts. Likewise, physicians have little analytics experience of their own to fall back on. "Doctors are trained to be doctors and treat the patients in front of them. They have no exposure to the Big Data realm," Paruk says. However, the evolution of EHRs is beginning to change all that, offering providers a coveted peek into where analytics can take them. Now that data are becoming available for review and analysis, health care organizations are facing an entirely new problem: determining which datasets are likely to be useful. Finding the right bits of data can seem like picking a needle out of an enormous haystack. Prashanth Kini, vice president and head of product, health care at Ayasdi, says it's the next natural question to come along in the Big Data growth continuum. "It's also a source of trepidation for many of our customers as they embark on their advanced analytics journey," he says. Kini, who views analytics as an opportunity to learn and grow, encourages providers to adopt the same outlook. "We don't think it's necessary to wait to get perfect data. Instead, begin with what you have and start to look at actionable analytics," he says. Identifying the data that will drive an organization toward useful knowledge often begins with knowing what nut to crack. "You have to start with understanding what your key problem is," says Lisa English, director of product development at Hayes Management Consulting. "Depending on the problem you're trying to solve, you'll need different data to do it." For example, take claims data and remit data, each of which will provide insight into different areas of the payment process. "With claims data, you can start doing comparative analysis between different providers that have similar specialties, trying to see where there are outliers," English says. On the other hand, remit information, though it may share data points with information harvested about claims, could give useful perspectives on where patterns exist around denials or other payer trends. Rather than narrowing the data field too early in the process, something organizations are often inclined to do, Paruk says there may be another strategy that's worth trying. "You can now take the Big Data approach. Take all the data and throw it in," she says. 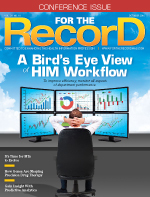 Between the horsepower behind cloud computing platforms and other technologies serving the analytics market, health care organizations may not need to winnow down the number of records or types of information prior to dropping everything into the mix. "If you apply all those tools, you're able to explore your data like never before," Paruk says, adding that the data can actually be the guide. "You might discover that half of your patients have a chronic condition you didn't know about, or maybe half have three chronic conditions that you wouldn't have known about if you didn't look." Reviewing patient data becomes more complicated when the uniqueness of patients—their histories, their complications, their responses to treatments—is taken into account. Performing predictive analytics in such a varied environment is a challenge in itself. At Vanderbilt University School of Medicine, Daniel W. Byrne, MS, director of quality improvement and program evaluation in the department of biostatistics and author of Publishing Your Medical Research Paper: What They Don't Teach in Medical School, and his team tackled the issue of unique traits by taking 100,000 patients from the organization's hospital system and selecting about 400 patient variables for analysis. "We looked at each variable—age, different blood types, gender—to see if outcomes were different with a complication and without," Byrne explains. The data were placed in a multivariant model—in this case a logistic regression model for readmission in 30 days—to determine which variables were different. "Then we took about a dozen of those and we weighted them using logistic regression," Byrne says. "That gave us a probability that a specific patient would have a risk of being readmitted." In this case, each patient's uniqueness helped determine how predictive analytics were deployed. "We took those differences in patients and we put them into this formula, and then converted it into a probability that they will develop a complication," Byrne explains. Knowing there will undoubtedly be some appearance of unwanted clinical variations, providers may choose to account for them within the predictive modeling process. "It comes down to statistical analysis," Paruk says. Health care organizations can choose to normalize the available EHR information to ensure the data are relatively standard. "That has to be the first thing—to know you're comparing the same data within patient populations that might have come from different hospitals or labs," Paruk says. Once the data have been normalized (sometimes referred to as "cleansed"), she says hospitals probably won't find nearly as many outliers. "If you can get through that challenge, you're basically looking at similar data across the entire field," Paruk notes. Even where variations do exist, Byrne stresses that predictive analysis doesn't happen in a vacuum. By adding human perspectives and a professional's ability to employ statistical thinking in the process, outliers can be examined and either included as important or discarded as irrelevant, depending on the goals of the analysis. "Once you know a person is a high risk for readmission, the computer can't do much more to solve that, but an experienced clinician can use their knowledge and experience to figure out a solution for that high-risk patient," explains Byrne, who refers to this process as "clinician-computer symbiosis," an environment where neither the computer nor the human is necessarily better or smarter at making decisions. Instead, he believes optimal decision-making and outcomes occur when analytics leverages the best of both computers and clinicians. Additional elements beyond blood types and diagnoses often influence patient outcomes. Among the data that could play a role in predictive modeling are social and behavioral factors. Socioeconomic issues are now a key component in many of the algorithms used in predictive modeling, according to Suleman. "There are a number of studies that point to high risk of readmission for heart patients or other chronic patients if they are depressed or living by themselves," he says, noting that the lack of a home support structure—one that can provide medication reminders or monitor adherence to the care plan—is a socioeconomic element that may heavily influence outcomes. "I think it's very important to factor these into the algorithms." Family issues, insurance status, and even patients' ZIP codes are just a few of the data points that are often considered in predictive analytics. However, determining how and if these factors are to be included in modeling efforts can be confusing. Zeroing in on where these data fit into the broader picture is an iterative process that English says should be the responsibility of subject matter experts rather than data scientists. "You bring your results back to the experts—and that's the clinicians who would have been the ones looking at this and using it—and say, 'Is this useful to you?'" she says. The team can then evaluate which factors are helping or hindering progress. "Then you ask, 'Why is that not useful to you?' and you have to keep refining your models," English says. Those answers may vary from one analysis to the next, but with each cycle, the data coming out the other end will be more useful and the trends more insightful. Though behavioral and social data are often important, Byrne cautions against simply following conventional thinking. There are many myths, some of which may prove counterproductive in driving better outcomes. "When we first started doing predictive modeling of hospital readmissions, the experts told us that the reasons for readmissions would be the uninsured patient," he says. That assumption proved to be opposite from what the Vanderbilt team found. Rather than seeing high readmissions across populations with low health literacy and meager or no insurance—considered to be classic readmission risk factors—the data painted a different picture. "Readmission rates were highest in well-insured, well-educated people," Byrne says. Social and behavioral factors were indeed influencing readmissions, but not in the way the researchers expected. Opinions vary on machine learning and its place in the field of predictive modeling. Suleman says the technology allows for increased pattern recognition, leading to updated algorithms. However, he stresses the differences between supervised and unsupervised machine learning. "I think we're at a stage where, especially with health care, supervised machine learning is a good way to start," Suleman says. He predicts unsupervised learning will gain ground, hopefully leading to a process where the machine not only learns on its own but also identifies patterns and triggers alerts based on that self-taught knowledge. "That's the holy grail," Suleman says, "where machines are smart and they can catch or highlight things that doctors might not because of their lack of time or information." The machine can then fill in the gaps, says Suleman, who believes machine learning will play a pivotal role in health care as better technologies are developed and new algorithms are introduced. Byrne acknowledges machine learning's appeal, but nevertheless favors the logistic regression method. "There's one school that prefers to let the computer look at all of the data and possibilities and learn how those drive outcomes on its own. But in most comparisons, the standard logistic regression model does a better job and it gives you a formula you can use and put into the EHR," he says. Some use cases call for a high level of scientific rigor, one that's supported by randomized clinical trial testing and the associated methodologies. "It's tempting to build a predictive model and claim victory, but we're trying to raise the bar and we really want to prove that we're improving patient outcomes," Byrne says. Even as the technology evolves and machines become faster and smarter, Paruk says the best strategy will likely continue to rely on both supervised and unsupervised methods. "You need a human who knows how to look at the data, but there's no reason you can't train a machine to go through the algorithms and identify things on its own with a little supervision," she says. Computers excel at sifting through large amounts of data with lightning speed, while humans are adept at evaluating those data and determining what's meaningful and actionable. "We can teach the machine to go through and identify patterns that are consistent in different populations, and then the clinicians can see what the patterns mean," Paruk says. Much of the predictive modeling realm is focused on improving patient outcomes, but a subset of that work also may involve reducing medical errors. Byrne says analytics can help clinicians avoid overlooking important factors in a patient's treatment plan. "If we know which patients are the highest risk for a complication, it helps the clinical staff in that hospital double-, triple-, or quadruple-check that known prevention efforts are done on a daily basis for those patients," he says. Preventing every complication in every patient every day is a broad strategy and may lead to misses on the highest-risk individuals who need it most. "Using predictive models, you can do the necessary level of prevention on the very high-risk patients and improve outcomes," Byrne says. Suleman believes predictive analytics can play a pivotal role in reducing misdiagnoses and errors, particularly in areas where physicians could use some extra help. "When you chart a patient, for example, analytics can automatically pick out things that the doctor has not picked out by using the empirical data that points toward those things," he says. Predictive modeling may suggest additional tests or items to look for based on the spectrum of available data. "With a machine, you can point to empirical data and see that 1,000 patients had this diagnosis, and 90% of those patients who were treated with this medication had a very good outcome," Suleman explains, adding that it's unlikely a physician would be aware of such details. At its foundational level, the relatively new concept of predictive modeling may fit neatly into the more traditional notion of clinical decision support. "Physicians want to be able to identify those patients who are at risk," Paruk says. Analytic systems can parse large amounts of data, find thousands of other patients just like the one the physician is seeing, look at similar combinations of medications and health histories, and flag the issues regarding poor outcomes or other risks. "It says, 'Hey, 20,000 other patients had adverse outcomes, so please consider that in the course of your prescribing,'" Paruk says. If predictive analytics can be designed to feed data to physicians while they're in front of the patient making care decisions, Paruk believes the technology has the potential to revolutionize health care.